Welcome to the first dinner program of 2019! 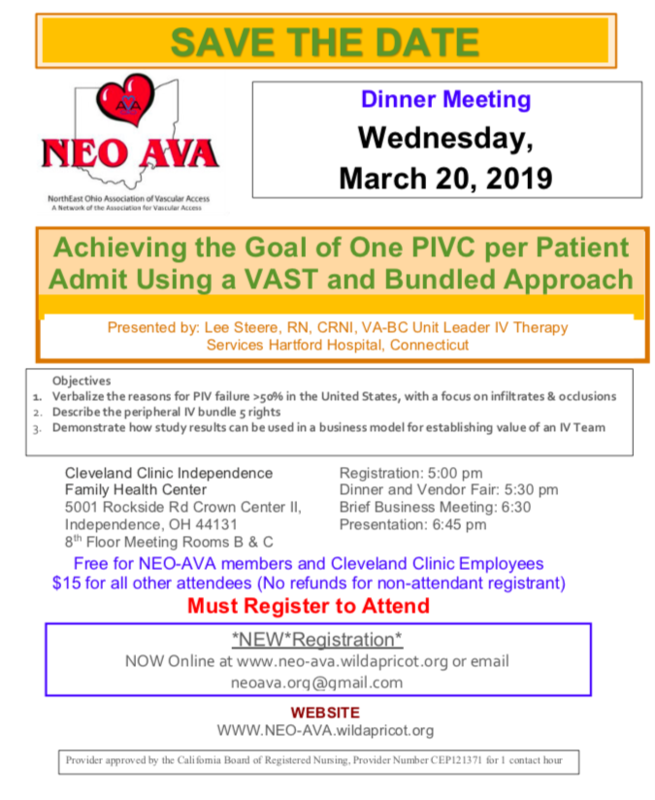 NEO-AVA would like to welcome you to "Achieving the Goal of One PIVC per Patient Admit Using a VAST and Bundled Approach" which will be presented by Lee Steere RN, CRNI, VA-BC. This event is sponsored by Nexus Medical and Prevahex. Please register for the event taking place on March 20, 2018 starting with vendor tables and dinner at 5pm with presentation starting at 6:45pm. Announcements and business meeting begins at 6:30pm. Questions? Email us at neoava.org@gmail.com.